Michael Robert’s hat-trick meant Colliery Welfare fell to a 3-0 away defeat to Stockton Town in their Northern League Division One fixture. The sides played out a goalless first-half, despite Corey Nicholson’s early red card. Roberts gave Stockton the lead in the 62nd minute before adding two more in the last 10 minutes to complete his hat-trick. Welfare were looking to bounceback after going out of the Durham Challenge Cup on Tuesday. Despite the cup defeat, the away side went into the game in good league form having won four of their last six. The Anchors were looking dangerous down the flanks early on, but Ryhope were dealing comfortably with the balls going into the box. The first big chance came for Stockton in the 13th minute, Peter Bulmer getting on the end of a through ball behind the Ryhope defence but Joe Atkinson dealt with his weak shot. Ryhope’s game was made a lot more difficult in the 21st minute when Nicholson was adjudged to have fouled Chris Stockton as the last man and was shown a red as a result. It took a good save from Atkinson in the 26th minute to keep out Nathan Mulligan’s 30-yard strike. Colliery Welfare had a good spell towards the end of the second-half despite being a man down. James Ellis was given the ball on the right, he cut in onto his stronger left foot but his strike was low and straight at Liam Jordan. In the 36th minute Ellis played a give and go with Nat Skidmore, Skidmore’s dinked pass playing Ellis in but he couldn’t keep his shot down. Atkinson was forced into action once more before the end of the half, getting down low to save Roberts’ effort from the edge of the box. Stockton opened the scoring in the 62nd minute, Ryhope failing to properly clear a cross into the box which pin-balled before Roberts manage to turn it home. The effort with a man down started to show for Colliery Welfare, who looked leggy compared to Stockton. Atkinson produced an incredible save in the 84th minute from Roberts’ close-range effort to keep Ryhope in it. However, he couldn’t do anything to stop Roberts a minute later after he was played through on goal before poking the ball past Atkinson who was off his line. Roberts completed his hat-trick with a powerful strike from inside the box well into stoppage time. 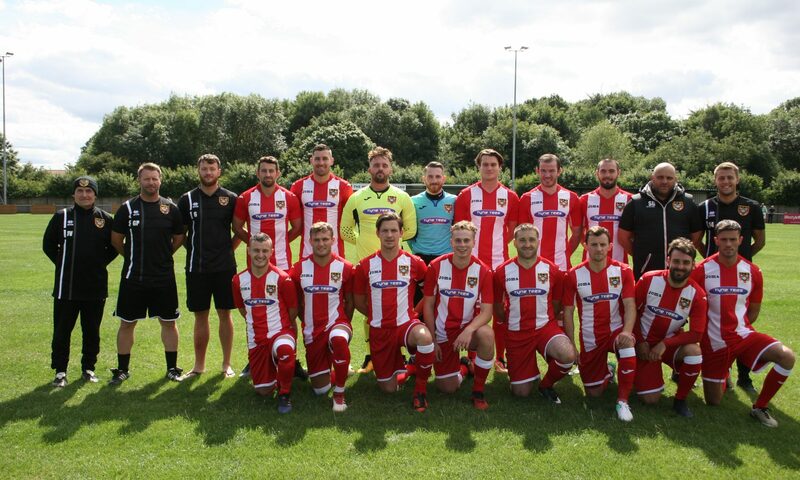 Ryhope CW dropped a place to 12th, and now go into an important Northern League Cup fixture away to Billingham Synthonia on Wednesday night.